Sri Lanka’s pioneering entrepreneur empowerment platform Venture Engine has ended its “Call for Entries”, with the program having received an overwhelming response from an ever expanding pool of potential participants. Also noteworthy, the quality and variety of submissions received in 2016 has signalled a definite increase in the level of sophistication in terms of both better conceived business plans as well as a widening scope of sectors being explored. Entries for Venture Engine have encompassed Tech/IT/ICT, Tourism, Ecommerce, Food and Beverages, Logistics, Tourism, Retail, Education, amongst other sectors, in 2016. In addition to a highly successful conclusion to its “Call for Entries” phase, Venture Engine also completed its first round of filtering by regional and local angel investors on May 24, wherein a business plan review was held with shortlisted prospects being invited to continue with the program. The next step for continuing participants is a 2-minute “Elevator Pitch” already scheduled for June 2, where contenders have the opportunity to convince, and maybe even wow, a panel of highly experienced and respected angel investors. The goal of this distinguished mentor panel is to, more than anything else, identify the most innovative business ideas and advise them on how to grow locally and regionally. And, even if a business plan is not fully thought through, participants will still have the opportunity to continue with the Venture Engine program should their business idea be unique enough or should they show the outstanding skills and commitment to succeed at all costs that is vital for any stellar entrepreneurial talent. 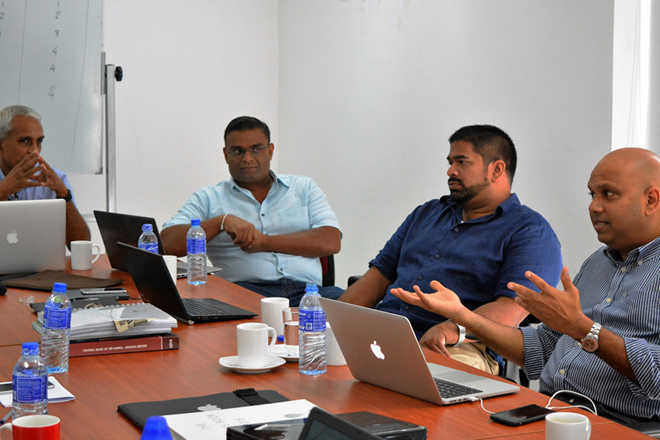 However, even if one’s business plan does not go through to the next round, the advice provided by this mentor panel will enable budding entrepreneurs the opportunity to reassess and restructure their proposal and apply again later to the Lankan Angel Network for future funding opportunities. “Now in its fifth year, Venture Engine has naturally evolved in its scope, with a focus towards showcasing only the best and brightest ideas and talent today. We are pleased with the overwhelming response we have received to date for our ‘Call for Entries’ and we will now use every resource at our disposal to ensure success for those that we tap to continue on in our program,” said Mr. Balasubramanium. To date, over 20 companies have achieved remarkable levels of success as a result of Venture Engine, with key local innovators, including Takas.lk, Trekurious, OMAK Technologies, Ridgecrest (tickets.lk), Saraii (eco-village), Extrogene, Nithya, Katha, Wild Trails (eco-adventure), House of Lonali, Glitteray, Threadsol (IntelloCut), Lanka BPO Academy, MyWish (weddings), Push Skateboards, Healthy Living, Zacki Herbal Products, Zigzag.lk, Endemic and 24-7 Techies, having been mentored and funded, to the tune of US$ 6 million, over the last four years.